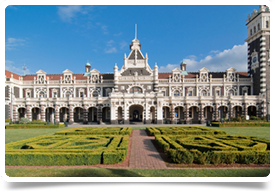 With extensive links to the Dunedin School of Medicine, Medical Registrars at Dunedin Hospital enjoy the best of the clinical and academic worlds. Dunedin Hospital Medical Registrars can expect to work closely with number of dedicated and training focused Consultants who are employed by both the Dunedin School of Medicine as well as the DHB and so opportunities to link in with those at the forefront of research and / or teaching are abound. Regular teaching opportunities include the Medicine Grand Round, sub-specialty Grand Rounds, Journal Clubs, X-ray meetings, CCU teaching and Clinical Audit Meetings. Regular opportunities also exist for those interested in teaching by way of sessions with medical students. Whether you are training towards a career as a Physician or wanting to move into General Practice or Rural Hospital Medicine, this role will provide you with what you need. To be eligible to apply for this role, you must possess a keen interest in the area of General Medicine and have a minimum of 2 years post graduate medical experience.